Whole villa for you. Very clean (cleaning every day. Nice owner. At the middle of the jungle. Well equipped kitchen. Fantastic quiet location. Host and the family very kind. 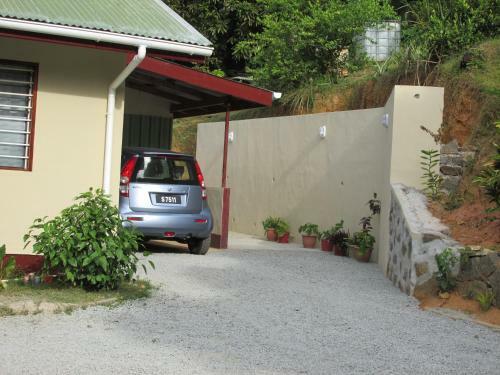 Accueil à l'aéroport par le locataire de véhicule et accompagnement jusqu'à la villa formalités simplifiées .le cadre magnifique ,villa située en pleine nature sauvage. Lock in a great price for Villas Santa Maria – rated 8.9 by recent guests! Villas Santa Maria is located in Baie Lazare Mahé and offers a garden, a terrace and a shared lounge. 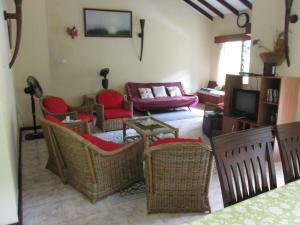 Guests staying at this villa can use a fully equipped kitchen. 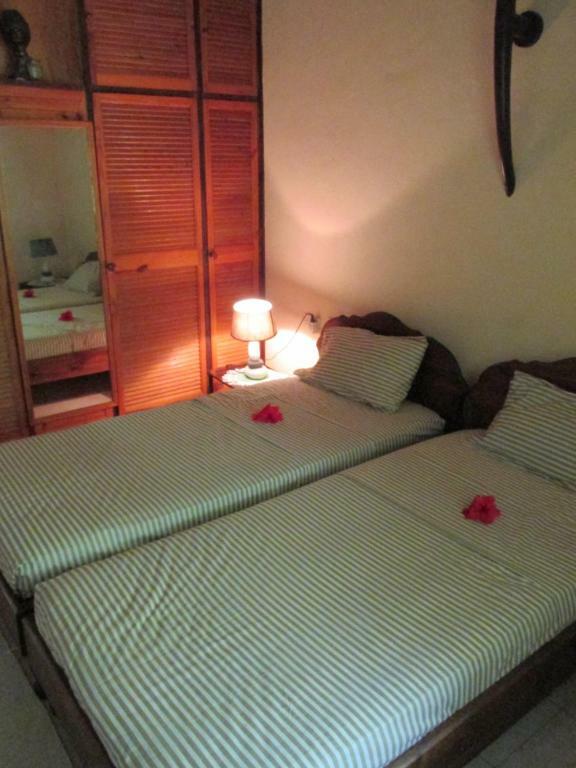 The villa consists of 2 separate bedrooms, 2 bathrooms with a hair dryer and a living room. A flat-screen TV is available. Mahe is 5 miles from Villas Santa Maria. 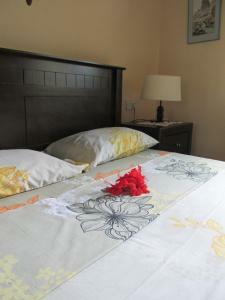 When would you like to stay at Villas Santa Maria? This villa features 2 bedrooms, a living area and a fully equipped kitchen. 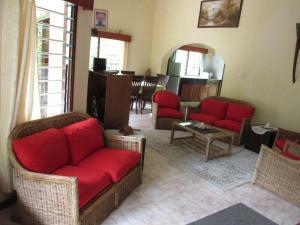 It offers a furnished terrace and garden views. 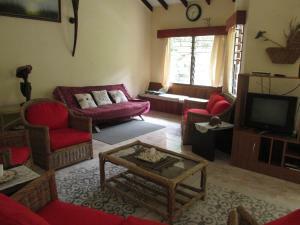 Welcome to villa sancta maria manage by our long experience in the tourism and travel industry. our moto is to provide our guest with a home away from home .we are at the service of our guest in this redpect we do secure repeated guest after the first stay with us they become part of our family. The area is safe for children who enjoy the wilderness we have 3 very friendly land tortoises that keeps the children content tom,marta and boboy, they are very intelligent and respond to their names. The villa is secure and safe even for evening walk from the anse a lamouche beach . I have been in the tourisn trade for over 25years,I started my career in tourism as a representative for limblad travel services on praslin island working with the various nationality is my passion I am aldo engage with promoting women entrepreneurial around the globe am a founder member for the women entrepreneurs of the indian ocean . I have participated on various international workshops and conferences invited by the commonwealth , un,comesa,sadc in the capacity of someone with large interest to participate with the view to make things better of our planet earth.I am very interestedof what is going on around the world and love to be able to assist my fellow country men where I can. 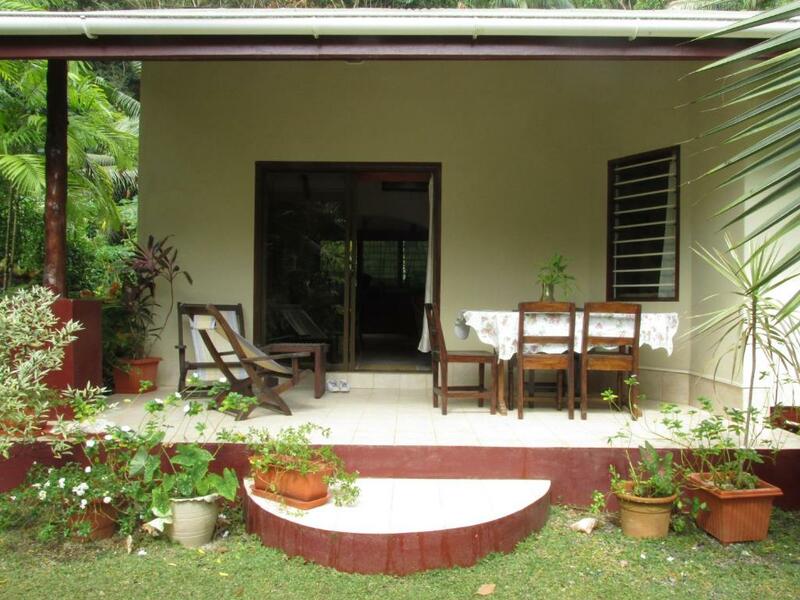 villasantamaria is located in a tranquil area from anse royal to anse a la mouche , ,about 10mins walk from the public road if you take the bus. we encourage our guest to hire a car for their convenient ,on arrival wr do organise transport at a cost of sr.400.with luggage . There are shopping centres,vegetables and fruits stalls and fish market on the way to the villa . 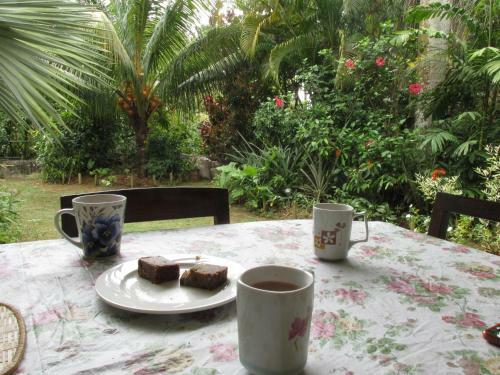 The area around the villa is secure for children we have a large garden with plenty of birds in the early morning hour the place is alive by the songs of the deferent birds,one can do bird watching and long walk in the forest to the beach of anse a lamouche . we offer a free visit to the gardin du roi the historical spice garden a promotion for our guests during the month of November 2016..
House Rules Villas Santa Maria takes special requests – add in the next step! Villas Santa Maria accepts these cards and reserves the right to temporarily hold an amount prior to arrival. Please inform Villas Santa Maria of your expected arrival time in advance. You can use the Special Requests box when booking, or contact the property directly using the contact details in your confirmation. Water pressure ver erratic in the bathroom. Sometimes just a trickle!